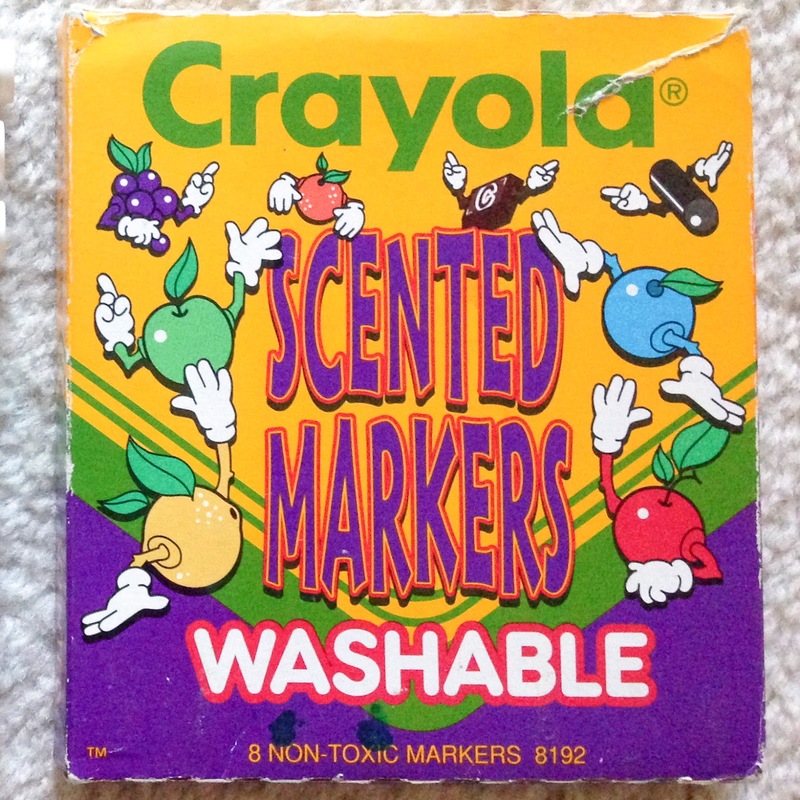 In 1993 Crayola came out with a line of Scented Markers. 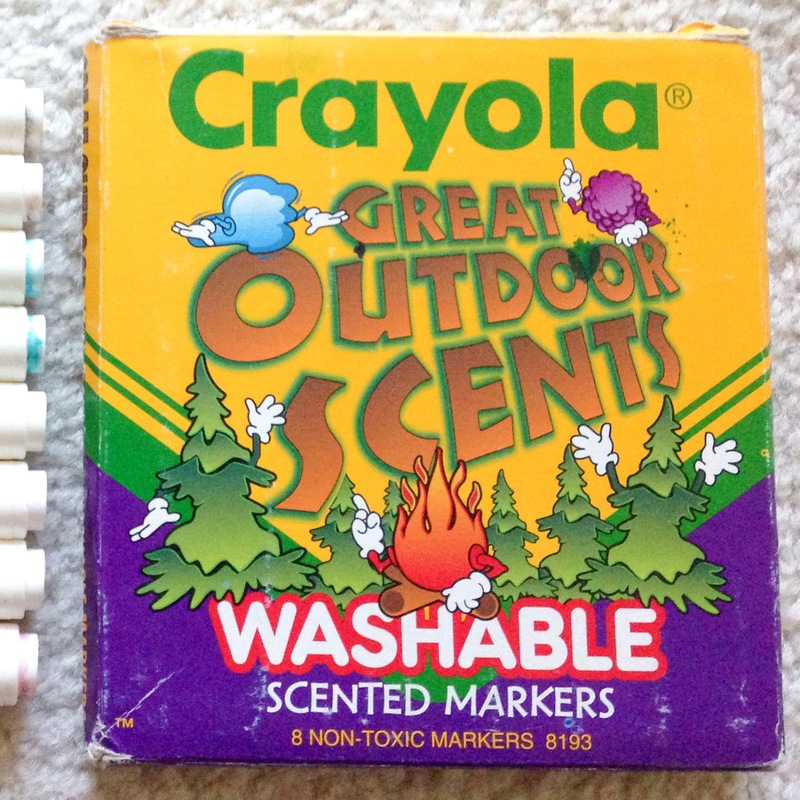 At the same time they were releasing a line of scented crayons, the Magic Scents. 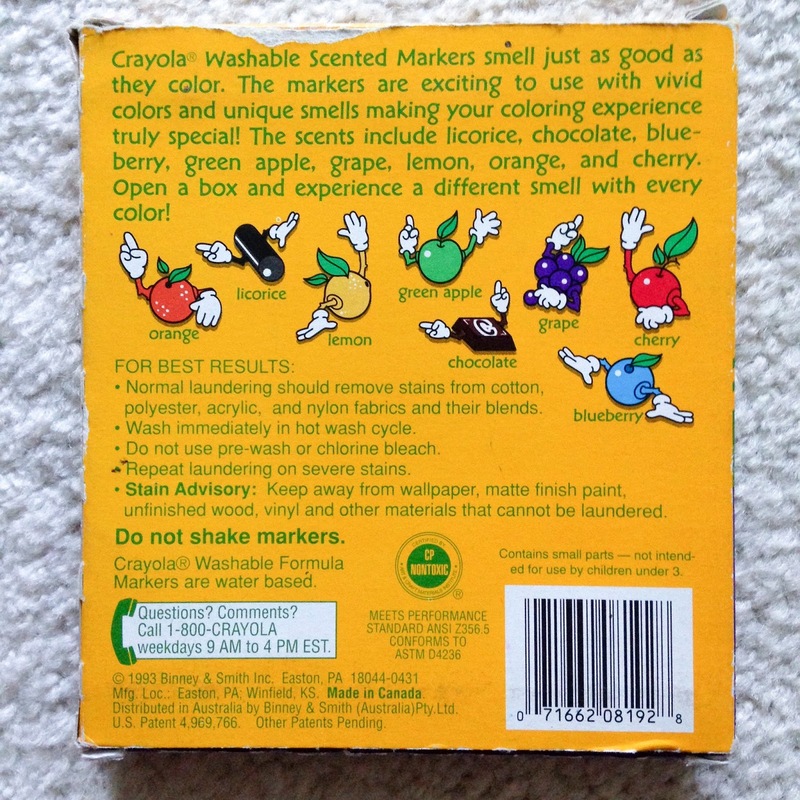 Crayola stopped making scented crayons a few years later until 2017 when they came out with the new Silly Scent line of Twistable crayons. 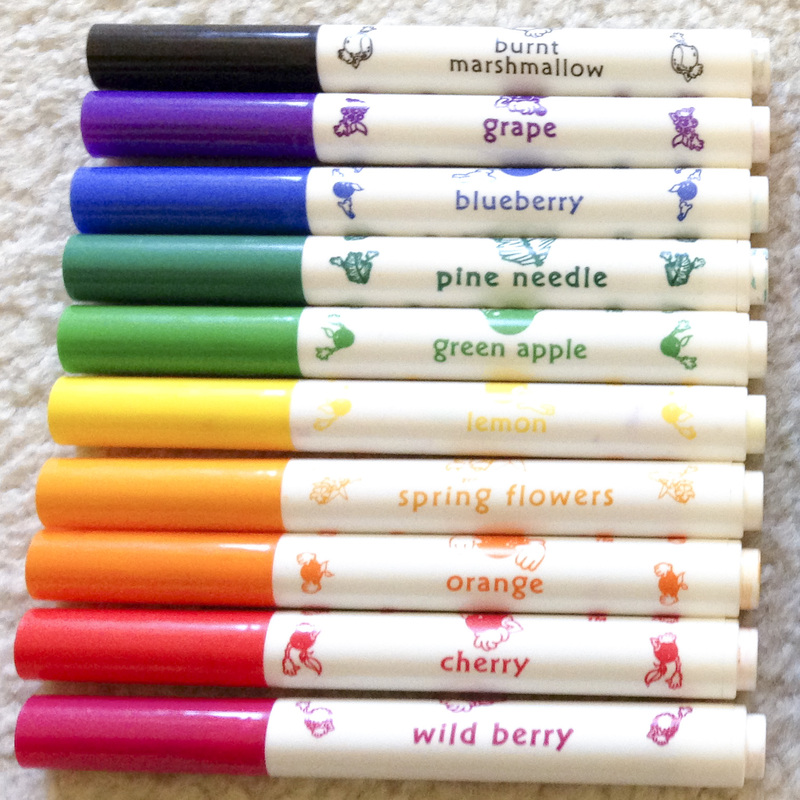 Crayola has been making scented markers for a long time since. 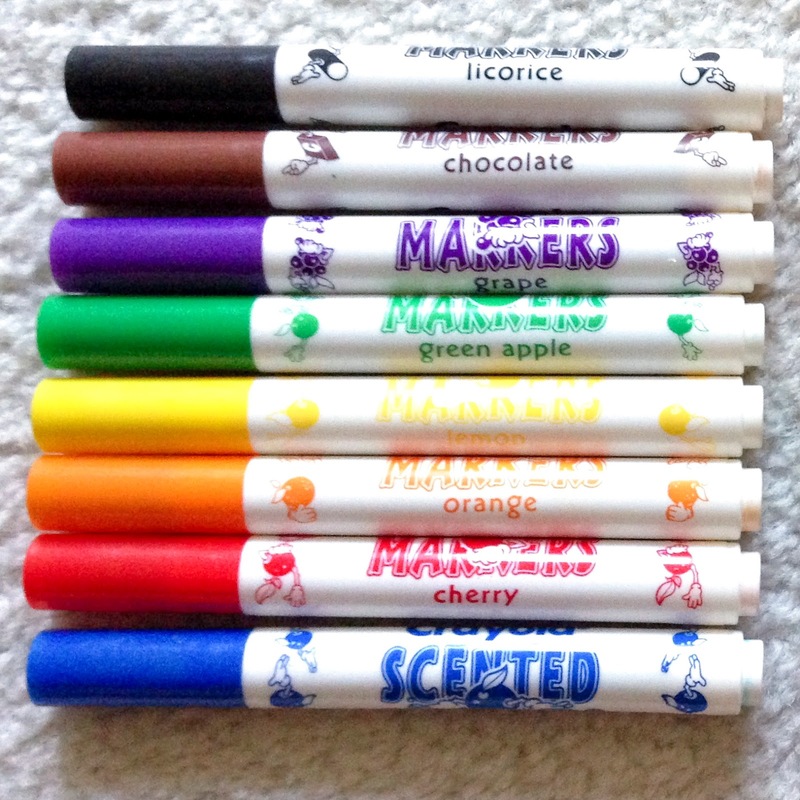 Even when they stopped making specific boxes they still included scented markers with Super Tips markers. 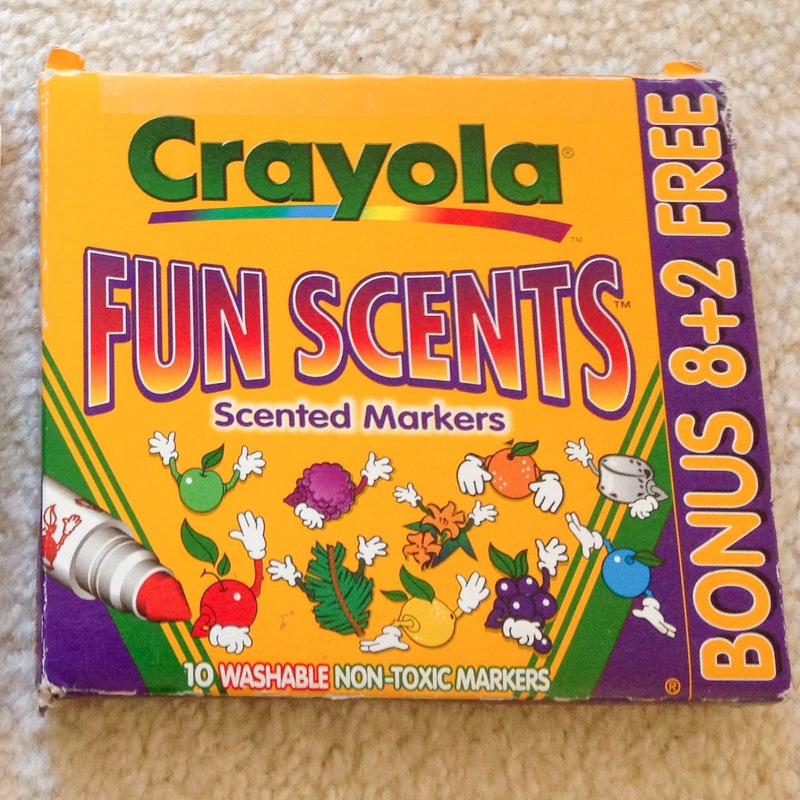 These boxes include many fun scents. 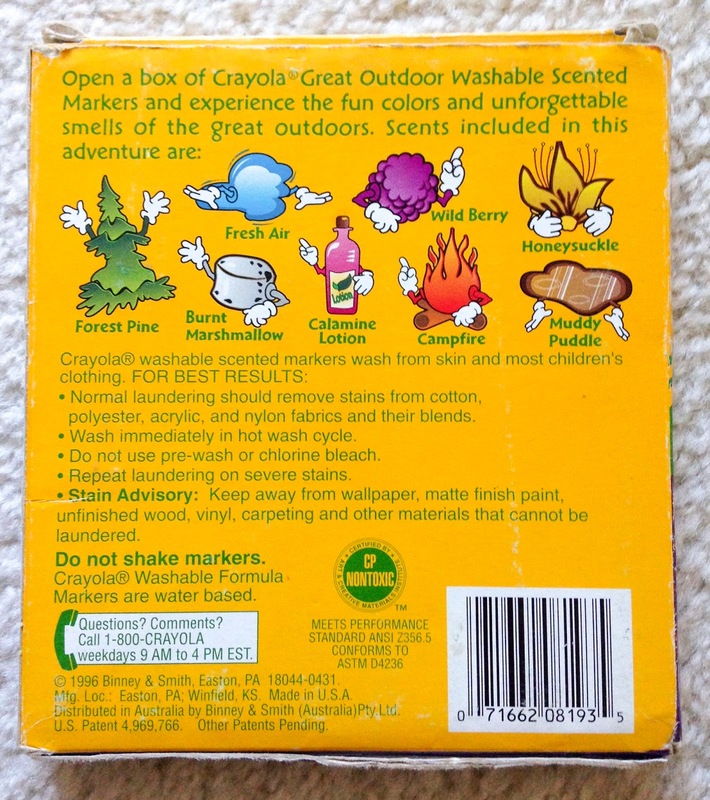 The outdoor scents even include calamine lotion. 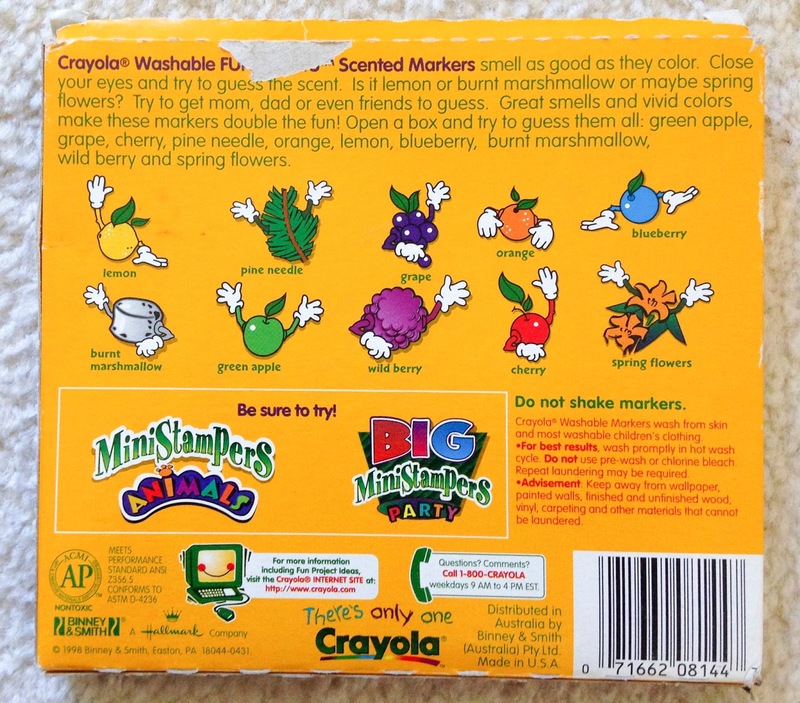 Why anyone would want to smell that is beyond me, but that is what they put in. Click here to search for on eBay. 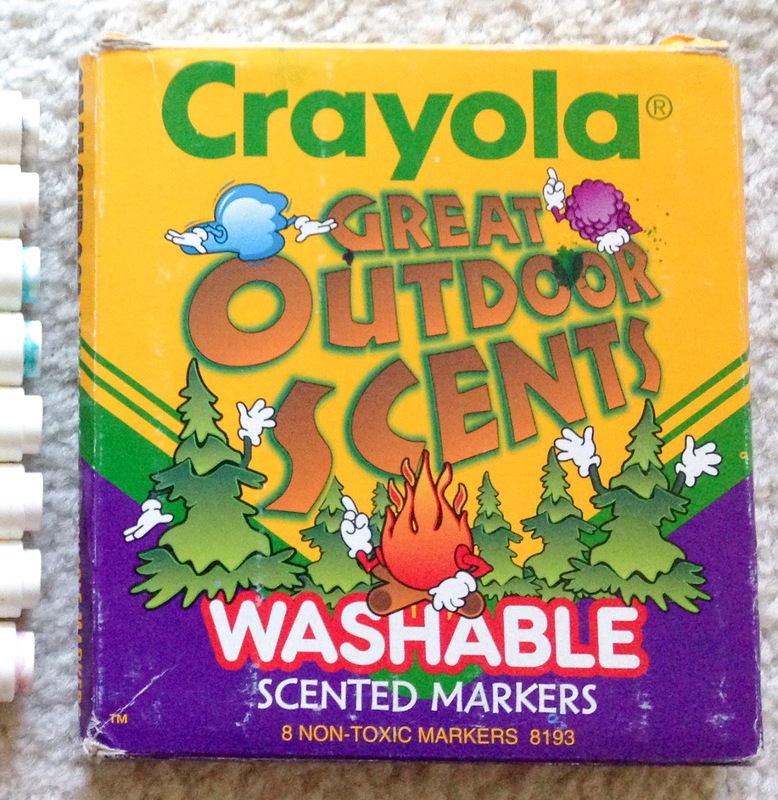 OMG I had the outdoor scented markers and I was starting to think I imagined them! 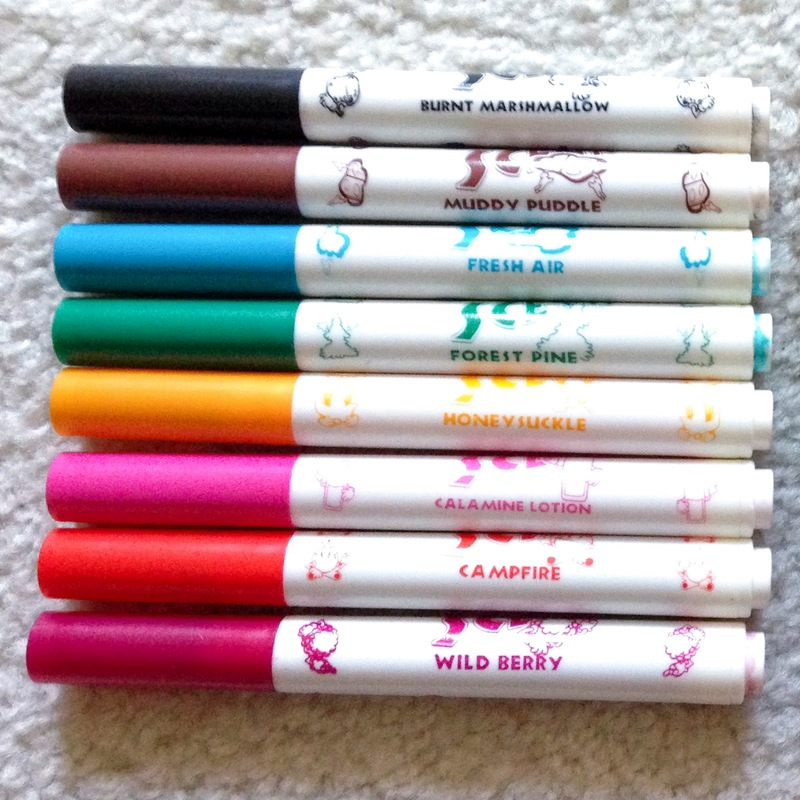 Campfire was my absolute favourite.